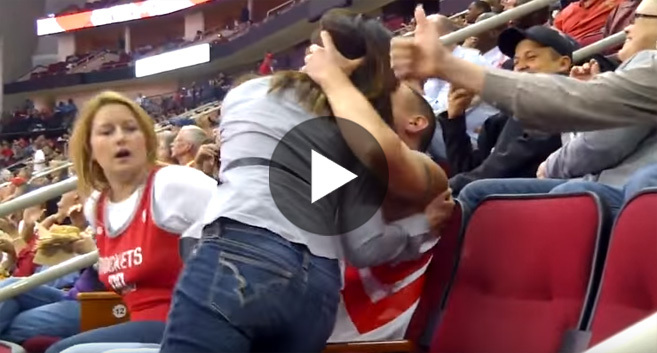 All this guy wanted to do was to kiss his girlfriend when the kiss cam came around to pan on them. A little peck on the lips, a full blown make out session, you know – things that normally happen on kiss cams. Apparently his girlfriend couldn’t have cared less and vehemently turned down his affections, which is her right to do of course. It’s also the woman next to her boyfriend’s right to interject in the most hilarious way possible!